Situated around 9 kilometers from Leh, the Karma Dupgyud Choeling Monastery is one of the major Dharma centers in the Ladakh region. Founded by Lama Chime Dorje Rinpoche in 1973, this monastery is run by the Karmapa sect of Tibetan Buddhists. At present, there are 17 Karmapas in this region. 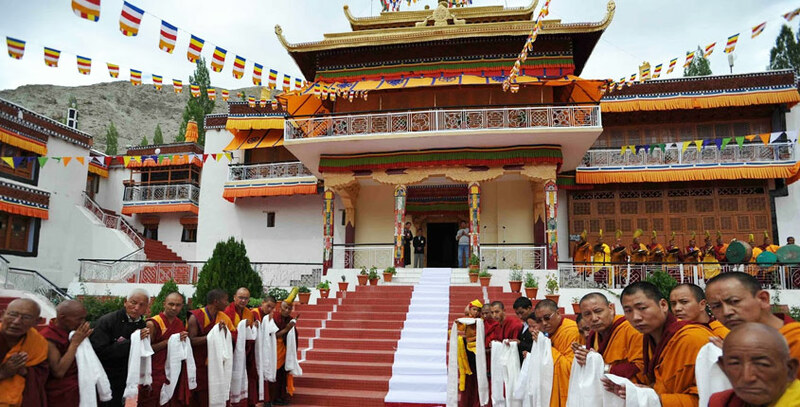 This monastery has played an important role in the proliferation of the traditional Buddhist culture and values. It includes an original mud-brick complex housing the Dukhang (Assembly Hall) and living and working quarters including classrooms, office, kitchen and library. Since it was founded by a Tibetan national, it depends on the munificence of private organizations and individuals for monetary funds.